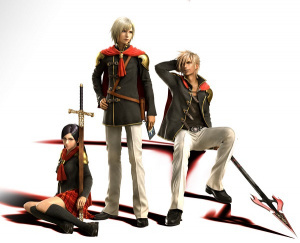 E3 2014: Is Final Fantasy Type-0 HD Further into Production Than We Think? Before or after The Last Guardian? The legend of Final Fantasy Type-0 HD's localisation stretches as far back as the Japanese release, following the rumours that it had been fully translated and dubbed. Two years later, with the announcement of the PlayStation 4 remake of the PlayStation Portable exclusive, it turns out that they were true. Since the big reveal, voice actor Orion Acaba spoke on his Facebook page about how it had been two years since he finished recording for his role. He wasn't the only one to speak up either. So, how does that affect those eagerly awaiting the title's release? 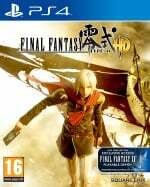 The lengthy translation of the gigantic PSP title could easily cut a few months off the project. It would also mean that there would be less work once development is completed, as all of the casting and voice direction of the massive main cast would be complete. This doesn't mean that we will see the game any time soon, however – especially considering Square Enix is known for taking its time. In a recent interview with Kingdom Hearts HD 2.5 ReMIX's co-director Tai Yasue, he explained the difficulties of creating remakes for newer consoles. How long do you think that this re-release will take? Place your bets in the comments section below. 2018 for this one is my guess. It's SE, after all. I'm hoping this releases before FFXV to help tide us over much like Nintendo is doing with Zelda. Depends how much of a revamp this will be, if small scale 2015 if big 2017 would be my guess. Edit: It is a shame that this won't be on Vita though as they seemed to be the fanbase who were pushing for a western release the most. Was just about to say 2018 but @get2sammyb beat me to it. I'll say 2020 instead. I'm hoping for a Summer or Fall 2015 release myself...but with SE you never know heh. I think this will release in 2015. Why? That way, square Enix can say they have a very special rpg releasing in fiscal year 2015...just to get our hopes up about ffxv. But it'll be this instead. And they'll say, please wait and have patience, we'll show ffxv when it's more ready. Wouldn't it have been easier to remake this onto the PSVita? @get2sammyb wow thats optimistic, im thinking 2030 lol. in all honesty though maybe itll come out sooner since its been awhile. and also the game is coming out for what exactlly? I wish they'd release this for the Vita..